This is a guest post written by three Year 8 students from the Preparatory School: Imogen, Archie and Marshall. 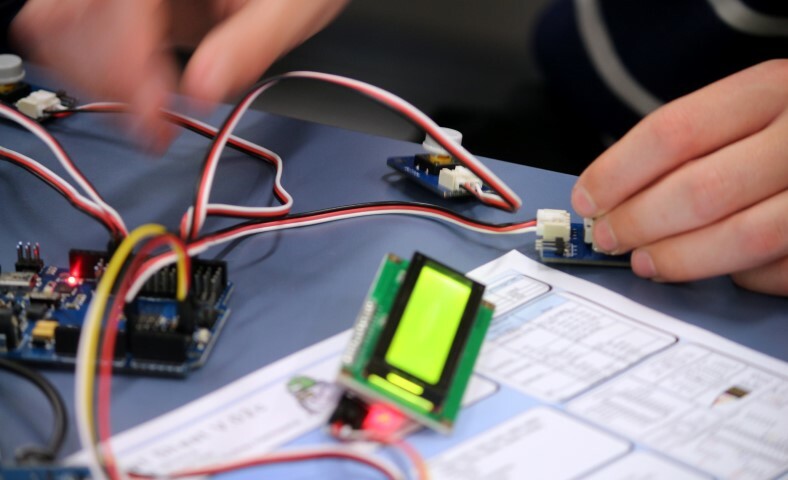 Last week, twenty students from Year 8 were part of an Arduino day run by FutureInTech. 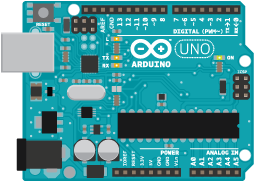 Arduinos are open source microcontrollers that can be programmed to do various things. The fact that they are open source means that anyone can use the software and hardware for whatever they want, as long as they follow the license. Overall, we had plenty of fun on the day and learnt some new skills. We would definitely like to do something like it again if we had the chance. Last Thursday, 8C was part of a ‘Mystery Skype’ with another unknown school in the world. We didn’t know what to expect because we had never experienced this before. A ‘Mystery Skype’ is an activity where a random class or school in the world Skype us in order to find out our location and our school name. It is a competition between the two schools to identify each other first. A day in advance, we had to prepare. We had to split into different groups, consisting of questioners, answerers, atlas mappers, poster mappers, Google mappers, note takers and photographers. Every group had 2-4 people working on it. As our first question we asked ‘Are you from Australia?’ as it was obvious from the accents. The reply was yes and then they asked ‘Are you in the South Island?’ The answer was yes. As we closed in, we found out that they were from Tasmania, Hobart and that they were only aged 8-9 years old [which helped us knowledge wise]. Then as we started to wrap up the Skype call they started to talk about their sport and the Tasmanian tiger and devils. Then the Skype call ended. As a class we talked about the pros and cons and what we could we improve on. In conclusion, our class enjoyed this experience and would like to do it with another class one time but would hope for older, more experienced classes our age.